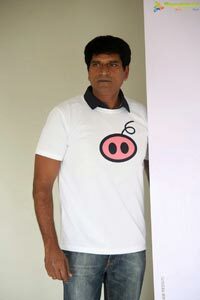 The trailer for Ravi Babu’s long-awaited film ‘Adhugo’ is finally out. 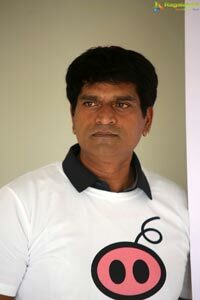 The event took place at Ramanaidu Studios in Hyderabad. 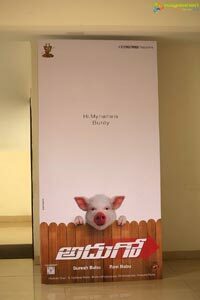 The film has a piglet in the lead role. 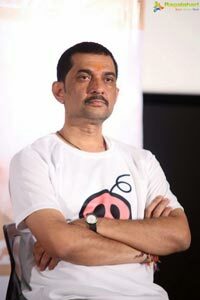 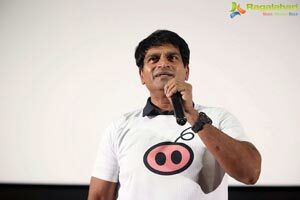 Ravi Babu has produced the film under A Flying Frog banner. 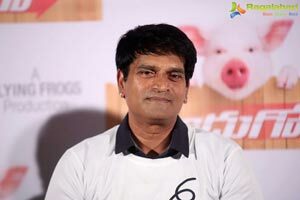 Prominent producer Suresh Babu is presenting the movie in association with Suresh Productions banner. 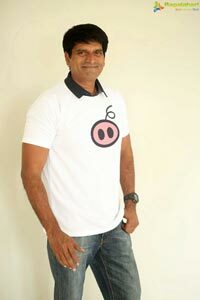 Written and directed by Ravi Babu, the movie also stars Abhishek Varma and Nabha in the lead cast. 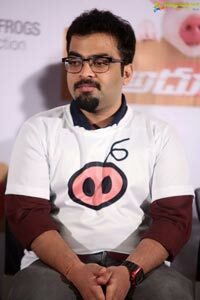 Prashanth Varma is composing music while N Sudhakar Reddy has handled the cinematography. 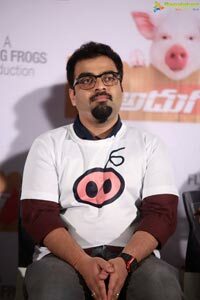 Prashanth Varma and Bhaskara Bhatla were also present at the event and wished for the success of the film.